We believe that services rendered to a true pilgrim is service rendered to Allah We believe that there should be nothing between the true pilgrim and Allah We believe in faith above all Inshallah with this firm belief ,we have been personally saying Allah Hafiz! to each and every hajj and Umrah pilgrim and thanking those who had traveled with us and complimenting them for their positive feedback I have also instructed my staff members to treat every pilgrim as our family members. We raj baba hajj and Umrah Company board our pilgrims in convenient flights,accommodate them in comfortable hotels, serve them food that exceeds to their best expectations and take them to holy places to seek Allah \'s blessings. 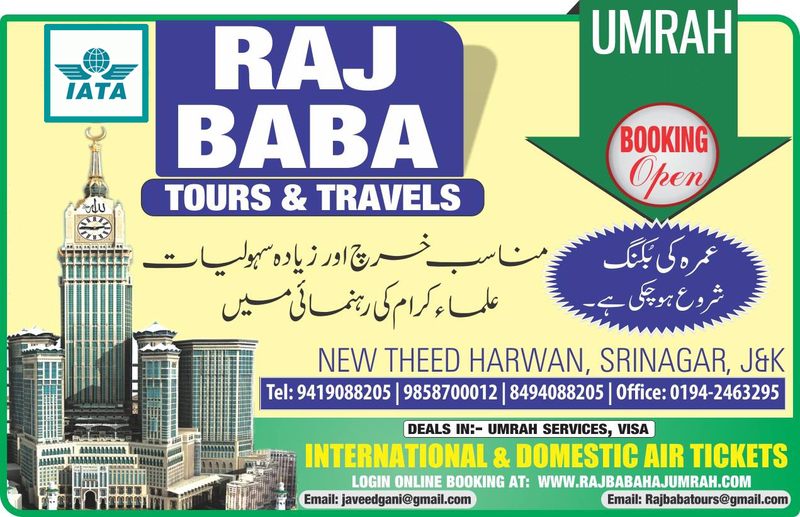 The proprietor of the company Raj baba haj Umrah Company has performed his hajj at the age of 30 and Umrah ( more than 13 times) by almighty Allah\'s blessing so he was very desperate right from the moment to start the hajj and Umrah services under the company entitled Raj baba haj Umrah . His dream eventually became true when he finally got registration from the registrar of the company of Jammu and Kashmir Government and the ministry of the external affairs India for starting of the same services (business) and also member of IATA. The demand from various quarters of our locality and also from adjacent habitats of ours society for performing hajj and Umrah through ours company, as commenced services since year 2005 and also the demand increased beyond limits on account of the services we promise to provide and offering the services beyond best expectation from time to time and the variety of packages are available with us. 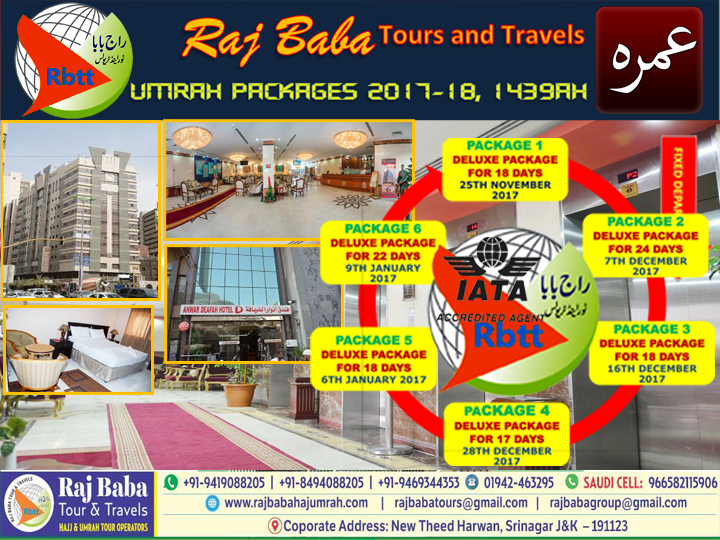 Raj baba haj Umrah Company has been the leading Hajj and Umrah tour operators in Jammu & Kashmir from the past few years. We will be there with you in hand to hand and at every moment of the sacred journey, from the moment you make your intention till the completion of your Hajj and safe return to their home (Insha Allah). With our first-hand experience and in-depth historic knowledge of the sacred cities , culture, cuisine and accommodations, you might be sure that your sacred journey (Hajj and Umrah) rituals are fulfilled adequately, efficiently by professionally trained personnel.